Kombucha - it's that effervescent, tangy fermented drink that seems to be ever-growing in popularity. But keeping up with the latest fermented foods trends and probiotic benefits can come at a hefty price. Why shell out $3 to $4 a bottle when can learn how to make kombucha from the comfort of your home? We'll show you how to make up to a gallon of kombucha (that's 8 bottles) for a fraction of the cost of commercial brands. Whether you’re new to making kombucha or a seasoned fermenting expert, now you can brew delicious kombucha tea at home with our easy-to-follow kombucha recipe and How-To Video. To get started brewing at home, you will need a Kombucha Tea Starter Culture (also known as a scoby, mother, or mushroom) plus some ingredients and equipment listed below. Visit our tutorial to learn more about How to Make or Obtain a Kombucha Scoby. If you are just doing some research, browse this page along with our expert advice on making kombucha tea at home and feel free to reach out with any questions. We're here to help! If you have purchased a dehydrated Kombucha Tea Starter Culture, please visit our video on Activating a Dehydrated Kombucha Scoby to get started. If you have just activated our dehydrated scoby, please follow the enclosed instructions for making the first 3 batches of kombucha. The instructions in this video and article are for making kombucha regularly, using a fully activated kombucha scoby. Below is a list of ingredients needed for making a kombucha. To explore more options for each, check out our tutorial: Choosing Ingredients for Making Kombucha. 1. Water, free from chlorine and fluorides. 2. White cane sugar. The kombucha SCOBY needs something to feed on! 3. Tea bags or loose tea. Black tea works best but there are options you can use after your kombucha is reliably culturing for a few batches. 4. Starter tea (tea from a previous batch of kombucha) or distilled white vinegar. You'll need one of these acidic liquids to keep the proper pH. See the chart below for ratios. 5. An active SCOBY. This acts as the starter culture for making kombucha. Be sure to watch our HOW-TO VIDEO on activating a dehydrated Kombucha SCOBY first! While it may be tempting to experiment with different types of vinegar, it's very important to always use distilled white vinegar to ensure an appropriately acidic environment. Apple cider vinegar and rice vinegar are not appropriate for making kombucha tea. For your first batch, when activating a dehydrated kombucha scoby, you will need to refer to ratios in the activation instructions. If you have just started making kombucha, we also recommend slowly working up to larger batch sizes to help maintain proper ingredients ratios and to avoid stressing the SCOBY. NOTE: Using a metal tea ball to contain loose tea for making kombucha is acceptable. The tea ball should be removed before adding the scoby and starter tea, so the tea ball will not come into contact with the scoby. 5. Flavor and Bottle to Make Your Kombucha Fizzy! Once the kombucha has finished culturing, remove the scoby and enjoy it plain or add flavoring. There is no limit to the flavoring possibilities. For a fizzy finished kombucha, try bottling it in a Grolsch-style bottle or other tightly-sealed container. Check out our video and article on Flavoring and Bottling Kombucha for more information and flavoring ideas. Starting a new project can be tricky at times, but with our tips and resources, we are confident that you'll be successful. Maybe you're wondering what a healthy scoby looks like or perhaps you're not sure if your scoby was properly activated. Whatever the case, browse our troubleshooting FAQ and you'll be in good shape to make the best homemade kombucha possible! Once you've been brewing kombucha for a while, you may find it more convenient to set up a kombucha continuous brewing system. Rather than changing brewing containers for every batch, this method allows you to make larger batches, one after the other in the same container. Not only does this create a nice little fermentation ecosystem, a kombucha continuous brew system is low maintenance and provides a healthy environment for your SCOBY. 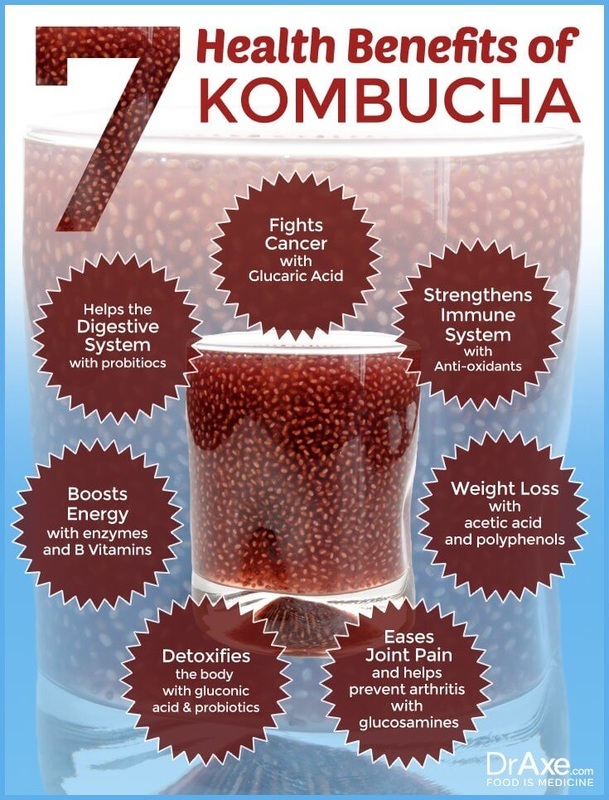 Don't forget, kombucha is good for more than just drinking! Check out more ideas for using kombucha as well as our collection of kombucha recipes.